Gardening is an activity that is enjoyed by practically hundreds of millions of people around the world. It can be enjoyed by the very young to the very old, as it is a very gentle activity that does not require great feats of strength (or great strength of feet!). It can bring enhanced value to a home, and it can provide your dinner table with fresh fruit and vegetable that you and your family can enjoy year-round, with proper planning. 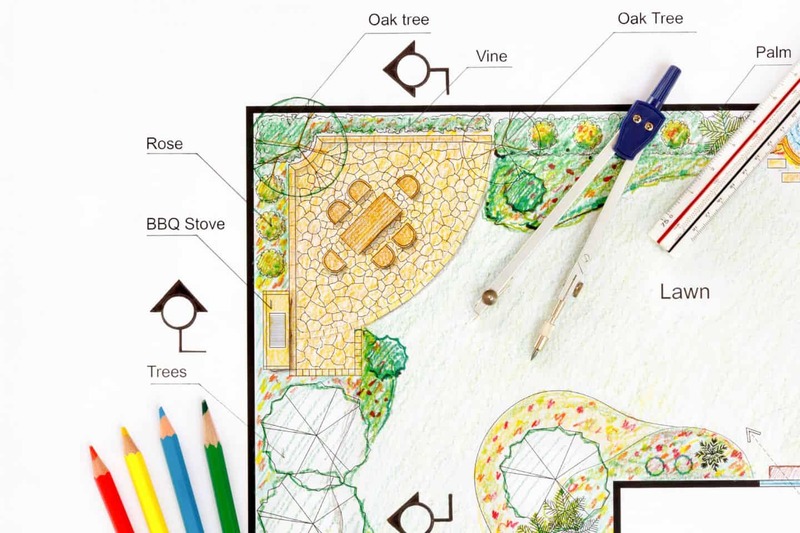 Garden planning starts with deciding what type of garden you want to have. If you’re blessed with a very large space, then you’re not restricted to just one type, and can get quiet creative, have space for the children to play, relax in the evenings and have room to grow produce. However, deciding what you want to have is essential before you rush out and buy plants and landscaping features. Many local landscaping companies offer garden design, and there is even software that you can now purchase to help you design your own garden. Build your own Pinterest boards, get inspiration from other blogs and research online so you can get an idea of what you would like. If you’re new to the area, you might want to get familiar with the climate. Observe your garden for a few days to see how the wind blows, where the shade is, where the sun passes overhead, and other similar elements. 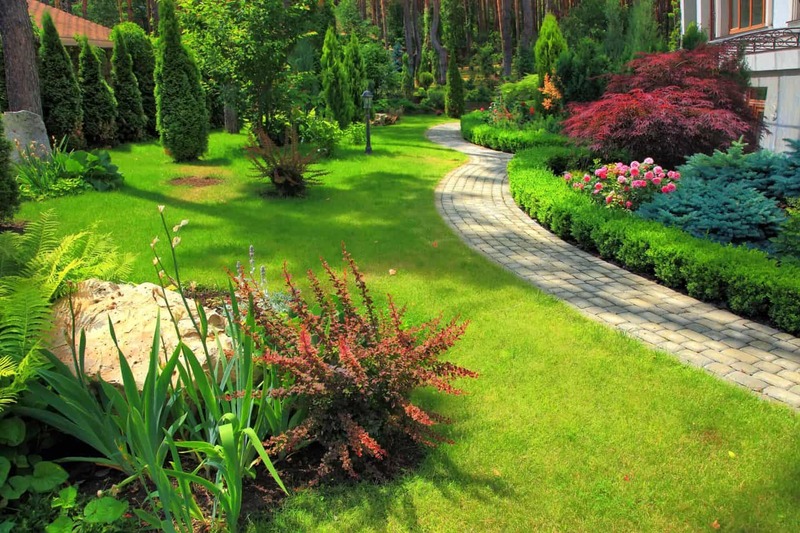 Once your happy with your layout, decide on which hard landscaping features you may require. This includes any paths, retaining or regular walls, whether you want real or artificial grass installed, landscaping features (fountains, ponds, ornaments, etc) as well as things like reticulation. It’s much easier to fit the plants around the landscaping features than the other way around. Everyone should have at least culinary herbs in their garden, even if it’s just some parsley and mint. Not only are they good to eat, but every time you brush past them, or the wind blows, you will have a delightful aroma waft through the garden. Plant your herbs somewhere convenient to the kitchen so that you’re encouraged to use them. One step further is edible gardens. In as little as 10 square metres, or around 110 square feet, you can grow vegetables, fruit and herbs, and with another 10 square metres, you could also have chickens with their very own coop! Once you’ve drawn up your plan, and thought about your landscaping, then it’s time to get your hands dirty, and start building your garden. The only limit is your imagination and your budget. Thanks for stopping by today, I hope you’ve enjoyed this post and will have the confidence to start planning your garden for Spring. Here is my gardening section, where you will find lots of helpful posts, like preparing your greenhouse for Spring, and creating a child friendly garden. When we moved into our current house 2 1/2 years ago, the back garden was completely overgrown with brambles and nettles, with dead tree branches all tangled up with loads of ivy and lots of rubbish. Actually a whole skip full of rubbish including old drain pipes, broken chairs, old buckets, decaying carpet and lots of old tins and bottles. The first year we focussed on getting rid of the rubbish, then last year we made progress on the brambles and nettles, and my son-in-law kindly removed 2 dead trees and lots of debris. I am hoping this year we can finally clear the remaining brambles and nettles and actually start planning a nice garden we can use!